This two-year Diploma programme, delivered with the Royal Devon and Exeter Hospital as part of a wider peninsular partnership, prepares you to become an Operating Department Practitioner - a vital part of the operating theatre team, with a role that varies from day to day. Operating Department Practitioner programmes at Birmingham City University (BCU) have an excellent track record of developing knowledgeable, compassionate and skilful health professionals who meet the needs of both patients and healthcare employers. The programme combines theoretical and practical components, complemented with clinical placements in a range of specialities and settings. The overarching aim is to develop and refine clinical competence and the application of best evidence-based knowledge to direct patient care in contemporary healthcare settings. Your work will be assessed using a mix of methods depending on the module or area of study and includes text-based submissions, written examinations, oral examinations, presentations and clinical skills assessment both in placement and simulated in university. The range of assessment methods is chosen to not only indicate a level of achievement but to also develop and demonstrate a range of skills transferable to the modern healthcare environment. It is anticipated that the development of transferable skills throughout your programme will enhance your employability on graduation and provide a sound foundation for future professional development. The academic team are dedicated to the development of future caring professionals and have many years of experience delivering perioperative education in the academic and clinical settings. The teams’ experience of delivering perioperative care in the ‘real world’ provides an excellent resource that helps students develop a clear understanding of the relationship between theory and practice. Additionally, the team are committed to the enhancement of perioperative care more widely through publication and information sharing in the wider healthcare environment. We are one of the largest and most diverse providers of health and social care education in the country. We have close links with a wide range of clinical practice partners to maximise your experience. at Grade C or above in English Language and Mathematics or Functional Skills (English and Maths) and a science subject. (GCSE equivalents are accepted, e.g. Key Skills Level 2, Adult Numeracy, Adult Literacy). Irish Leaving Certificate, Grade B3 or above to include English and Mathematics and a science subject. Scottish qualifications, Intermediate Standard 2 or above in English and Mathematics and a science subject. 88 UCAS tariff points from a maximum of three A/A2 level passes. A typical offer would be CCD. General Studies and Critical Thinking excluded. Two subjects accepted with A/A2 Level passes. Must achieve a minimum or 88 UCAS tariff points. General Studies and Critical Thinking excluded. Will be considered in conjunction with other qualifications to equate to 88 tariff points. Full award (60 credits) of which a minimum of 45 must be at Level 3 including 18 at Merit or Distinction of which a minimum of 12 must be in a Science or Health related subject and 15 at Level 2, must include Mathematics and English Language GCSE equivalent if not already achieved. Distinction required (equates to AB at A2 - 88 points). Maximum of 5 Highers at Grade C3 or above to achieve 88 UCAS tariff points. Maximum of 5 Advanced Highers at Grade C or above to achieve 88 UCAS tariff points. Minimum Grade B required (250 points). Completion of year (transcripts will be required). This recognition of prior learning and experience route recognises that your previous experience and achievement contributes towards entry to the Diploma of Higher Education in Operating Department Practice, and when combined with successful completion of your award, may lead to successfully gaining a place in the programme. Applicants are required to undertake an interview*. Places are subject to a satisfactory Occupational Enhanced Heath Check, Disclosure and Barring Service clearance and registration with the Independent Safeguarding Authority. Applicants should be aware that qualifications, personal statement, interview and reference all form part of the selection criteria for this course. * Interviews: Candidates who are successful will be invited to attend a selection event. This will consist of an introduction talk from one of the ODP team which will include an outline of the day. Candidates will be offered a tour of the educational facilities at the Royal Devon and Exeter Hospital. Following all remaining candidates will participate in a formal interview process which will conclude the day. Applicants will be made aware of the outcome on the selection day as soon as possible. Applications for this course will open through UCAS on Wednesday 3rd May. 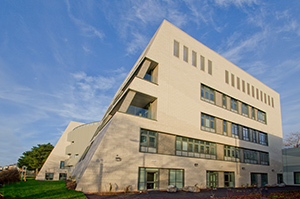 Taught in state-of-the-art facilities, including access to simulation suites and operating theatres, at the Royal Devon and Exeter Hospitals education centres. We use a variety of teaching methods to help you get the most from your study, reflecting the subject matter and your individual needs. And as we're one of the largest ODP education providers in the UK, we can offer you opportunities to experience surgical practice in a wide range of specialities; from transplant surgery to ophthalmology to neurosurgery. You will study 120 credits each at Level 4 and 5 and there's a 60-40 split between blocks of study and clinical placement. This module builds on the knowledge you gained in the level 4 module Introduction to Bioscience. It allows you to explore the application of this knowledge in situations of injury and illness. You will have the opportunity to investigate the use of pharmacological interventions specific to Paramedicine and its use in effective care delivery, this knowledge will then continue to develop throughout the other modules you will engage in throughout the year. Pathophysiology of common conditions will be explored and compared with normal function. This will enable you to better appreciate the function and mechanisms of different disease processes and the methods employed to treat them. This module encourages you to develop an understanding of evidence based practice and the relationship to wider influences on perioperative care. To be successful and to function safely as a student Operating Department Practitioner and post qualification, you need to know how to apply relevant information to your practice and academic work. This module explains evidence-based practice (EBP) and its importance and relevance to your profession; with a clear understanding that if you practice an evidence-based approach, then you are set to give the best possible care for patients. During the first year of the Dip He in Operating Department Practice you studied the basic principles of anaesthetics and post-anaesthetic care and established how your role fits with the other members of the multidisciplinary team. This module enables you to develop your role and practice as a second year student ODP; enabling you to deliver care to patients undergoing elective and non-elective cases. This will include patients with complex needs. Considering the Programme Philosophy and Aims this module prepares you to apply for registration with the Health and Care Professions Council (HCPC) and subsequent employment on graduation. You will be encouraged to become a professionally aware, autonomous and reflective practitioner at the point of registration and it enhances your employability skills on qualification and beyond. It is designed to prepare you for the transition from student to Registered Operating Department Practitioner and develop skills to support your continuing professional development alongside the ability to manage yourself and others. ODPs play a crucial role working alongside surgeons, anaesthetists and nurses, preparing instruments and equipment, delivering patient care and assessment, and ensuring every operation is as safe and effective as possible. After completing this Diploma, you can specialise post-registration, or move into management or teaching. A comprehensive portfolio of post-registration courses called Continuing Professional Development (CPD) is available within the Faculty of Health, Education and Life Sciences and can be found here. Many are taught as part-time flexible modules to fit around your work and domestic commitments. Star Alumni Spencer Hampton graduated in 2009 and is now an Operating Department Practitioner. You will be required to travel for your clinical placements to engage in a broad range of specialities and practice areas. These placements will be with both NHS and independent health providers across Devon and Cornwall. We boast up-to-date, innovative facilities that simulate the real situations that medical staff may come across. Using a mixture of modern classrooms, a skills suite and a real operating theatre we ensure that the students experience offers students a hands-on introduction to health and social care practice. In a sector where new techniques are constantly being discovered, we work hard to ensure that students learn using the most up-to-date equipment available. 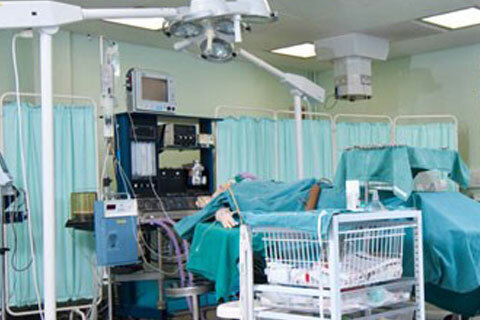 The operating theatre is operationally used within in a hospital’s day case unit and has all of the machinery, tools and equipment necessary; however with protected, supported time you will be able to build up confidence and feel comfortable in your working environment. Operating theatres can be daunting and confusing places on first view but during clinical skills sessions, you will learn to feel more comfortable within that environment. The library, based in the Research, Innovation, Learning and Development (RILD) building, is a specialist health education library. The state-of-the art facility offers an extensive range of range of information and reference materials set out in a relaxing environment, conducive to studying. There are comfortable seating areas, group study areas and a silent study area as well as a numerous number of computers that students can access during theory. In addition to this, students will have access to not only the online BCU catalogue but also the NHS libraries in their placement areas. The library offers extended opening hours and has an ODP specific reading list. Fiona is a Registered Nurse and during her career up to 2018, she worked within Operating Theatres of both NHS and private hospitals; her final position being that of Theatre manager. Fiona's expertise is predominantly in the surgical phase of the perioperative environment and also in team leading and management of a busy NHS department. From 2006, she also worked closely with different Universities, supporting and mentoring their Student ODP’s and nurses whilst they were undertaking their peri-operative placements and she is passionate about the importance of a good student experience during their placements to ensure that their learning is enhanced. Fiona has an interest in inter-professional education/learning and shared experiences and how this contributes to high quality care in the perioperative setting. Mark is an Operating Department Practitioner registered with the Health and Care Professions Council. Clinical experience includes anaesthetic, surgical and post-anaesthetic care. He successfully completed the Surgical First Assistant training to enhance his role in surgical care. In Mark's academic role he is a Fellow of the Higher Education Academy and have a Master of Science in Health and Social Care Education. He has led a variety of modules including, surgery and enhanced surgery, management and leadership at pre-registration level and a post-registration module for the surgical first assistant. Mark has an interest in Interprofessional education/learning and how this contributes to high quality care in the perioperative setting.